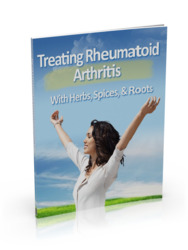 476 rheumatoid arthritis A chronic, autoimmune disease that causes pain, swelling, and gl°ssary stiffness in the affected joints. In severe cases the joints are completely destroyed. Rheumatoid arthritis also can affect the heart, lungs, and eyes. rhinoplasty A type of cosmetic surgery performed to reshape a person's nose. RICE See rest, ice, compression, and elevation (RICE). root canal therapy A dental procedure in which infected or dead nerve tissue is removed from a tooth and replaced with a special filling material. The tooth is sealed to prevent infection and may then be covered with an artificial crown. See crown, artificial. rotator cuff The arrangement of muscles and tendons surrounding the shoulder joint that provides movement and stability.